After eight years, the families of the 29 miners trapped inside the Pike River Mine will finally find closure as the Hon. Andrew Little – the Minister responsible for the Pike River Recovery Agency – announced a retrieval operation will begin by the end of this year. While the previous National-led Government literally buried the idea of a retrieval and allowed the burying of the entrance to the mine with concrete by Solid Energy, this incumbent Coalition Government refuses to shun away the outcry of the families of the trapped miners. Adding insult to injury, then-Prime Minister John Key even referred to any proposal of a retrieval operation as “lunacy”. 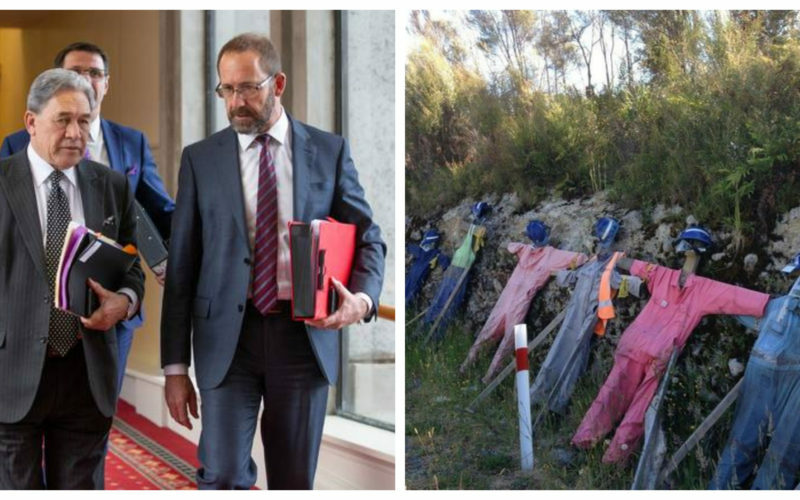 That National Government’s lackadaisical attitude to help grieving families by re-entering the mine and finding definitive answers as to the exact causes of the Pike River tragedy should come as no surprise. The series of explosions, which first enclosed the mine and possibly killed the trapped miners thereafter, was blamed at a lax culture of workplace safety common among corporate operations during the reign of the National Party. During their time in Opposition, the Hon. Andrew Little (R) and the Rt. Hon. 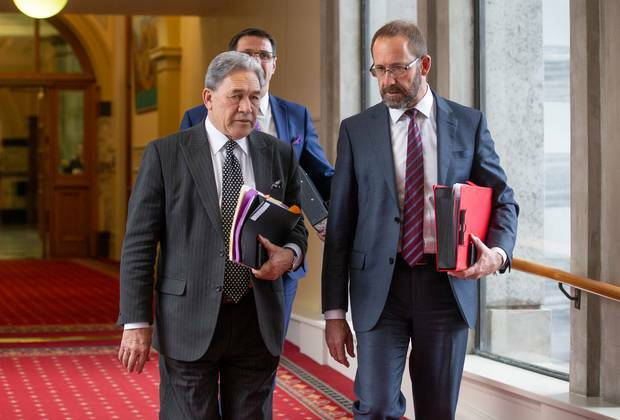 Winston Peters were among the most vocal in condemning National’s handling of the Pike River tragedy. In fact, Key had to formally apologize to the families of the 29 miners in 2012 for “a lack of regulatory effectiveness”. His move came after a Royal Commission established to investigate the facts surrounding the incident found out that the tragedy was “preventable”. The report found out that Pike River Coal Limited’s (the company which owned the mine) “drive for coal production before the mine was ready created the circumstances within which the tragedy occurred”. Excessive levels of methane had already been detected just two days before the accident occurred, and the “warnings were not heeded”. That Royal Commission also made recommendations to prevent similar future incidents from happening, and the bulk of those recommendations centred on health and safety. It is clear that the tragedy which befell the 29 men was caused by unsafe workplace safety, motivated by a lustful pursuit for corporate profits. 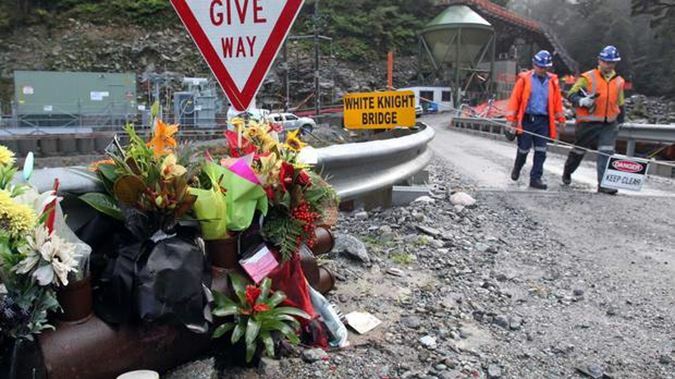 Tributes made at the site of the Pike River Mine tragedy. Clearly an injustice occurred, the negligent behavior of Pike River Mine’s owners created the circumstances for the tragedy to occur. Yet despite the overwhelming evidence, charges against Pike River Coal’s CEO Peter Whittall were dropped by the Government in 2013 due to a lack of confidence that they could convict him. Instead, Whittall and Pike River Coal Ltd. were made to pay $3.4 million in compensation – translating to $110,000 for each of the 29 miners’ families – in December 2013. It was the money Whittall would have used to pay for his legal defense, which was nullified by the deal he made with MBIE and eluded charges under the Health and Safety Act. The payment was a mere consolation, in October 2013 shareholders of New Zealand Oil and Gas (NZGO) voted against paying compensation to the families of the trapped miners. A month later, Prime Minister Key also ruled out the Government paying compensation to the grieving families. 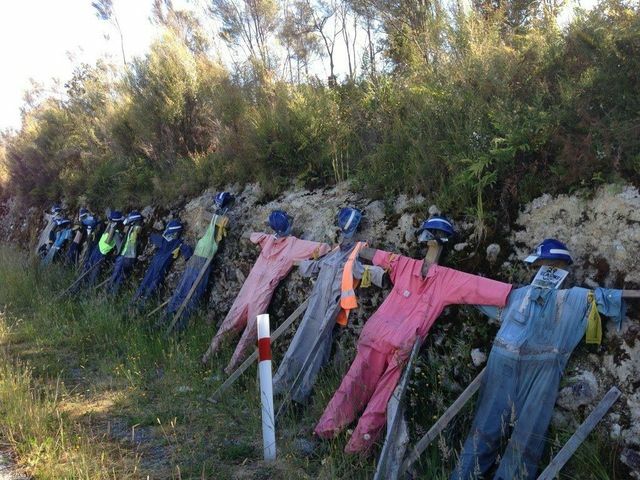 Overalls representing the 29 trapped miners are placed on display at the vicinity of the mine. Despite it being no fault of their own, the families of the 29 Pike River miners were left fending for themselves. The mine boss was not punished for unsafe work standards, the company their loved ones worked for escaped tough sanctions for putting profit over their own people and their own Government was seemingly uninterested in going an extra mile for them. That is why Minister Little’s announcement that the Coalition Government is going to make amends of past wrongs is so important: it restored hope for the bereaved families and affirmed to them that this new Government is going to be different. It also showed those families that when politicians make promises, it doesn’t always have to be broken: case in point 2012, during a private meeting with Key the victims’ families were promised that his Government will fund the retrieval operations into Pike River Mine. Four years later, the same Prime Minister oversaw the concrete sealing of the mine – which radio host Duncan Garner likened to “locking the secrets of Pike River behind a 30-metre permanent seal”. When the victims’ families heard the Government make a promise to return into Pike River Mine and find answers as they were inaugurated into power in 2017, this week they heard one of its Ministers say: “to the Pike River families and New Zealand, we are returning”. The decision to re-enter Pike River Mine was more than just scoring political points or upstaging the rival National Party and do what they were not able to achieve. This retrieval mission symbolizes that workplace safety violations won’t just be swept under the rug by this Coalition Government, in case they happen the victims will be given justice.